This is our 8th year supporting All Children's Hospital Guild. Our support has raised over $55,000 benefitting Johns Hopkins All Children’s Hospital through the All Children's Hospital Foundation. This is our 8th year supporting All Children's Hospital Foundation and through our event this year, we will be able to help ACHF reach their four year goal. 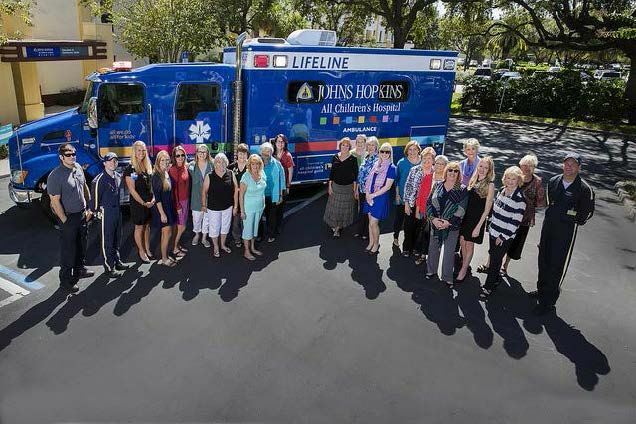 The Guild members are working on their fourth year for their pledge of $1,350,000 toward Johns Hopkins Nursing Excellence Program and a new pediatric ambulance to support the Transport Team. This is the first time that the Guild is taking on two worthy areas of the hospital in one pledge.